Charlton can add Christophe Lepoint to their squad after the Belgium midfielder joined on Thursday from Ghent. Captain Johnnie Jackson is pushing to return in midfield after a calf injury. 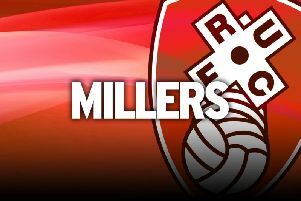 Rotherham boss Steve Evans will add new signing Jack Hunt to his squad following the right-back’s arrival from Crystal Palace and has no new injury or suspension worries.